On November 11th, PARATAXE travelled to Italy along with Rasha Abbas and Eugene Ostashevsky to participate in the Pisa Book Festival. 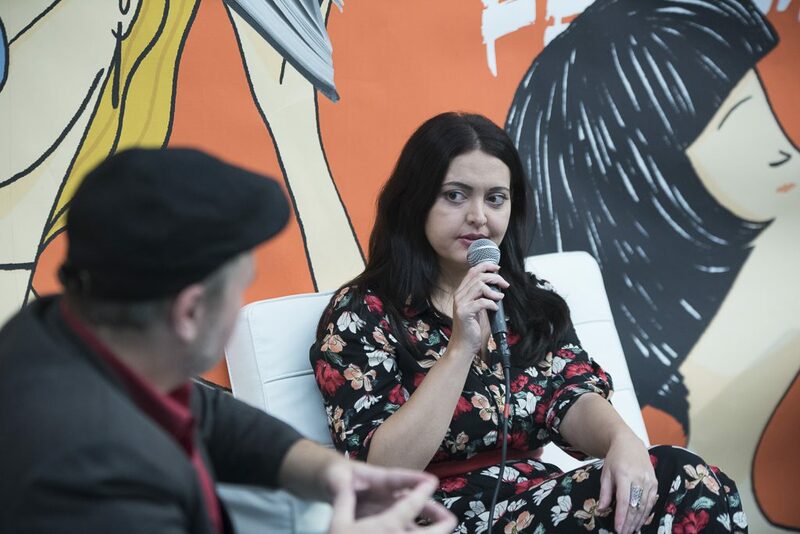 The festival celebrated its 15th edition this year and it has grown to become a focal point of the exchange between Italian independent publishing houses; national and international writers; as well as translators and illustrators. To mark this occasion, the Berliner Literarische Aktion organized a reading and discussion with the Russian poet Eugene Ostashevsky and the Syrian writer Rasha Abbas, hosted by Martin Jankowski and Anna Giannessi. Characterized by multilingualism, the PARATAXE project and stadtsprachen magazin were presented to the wider public of the festival in English, Italian and Arabic. 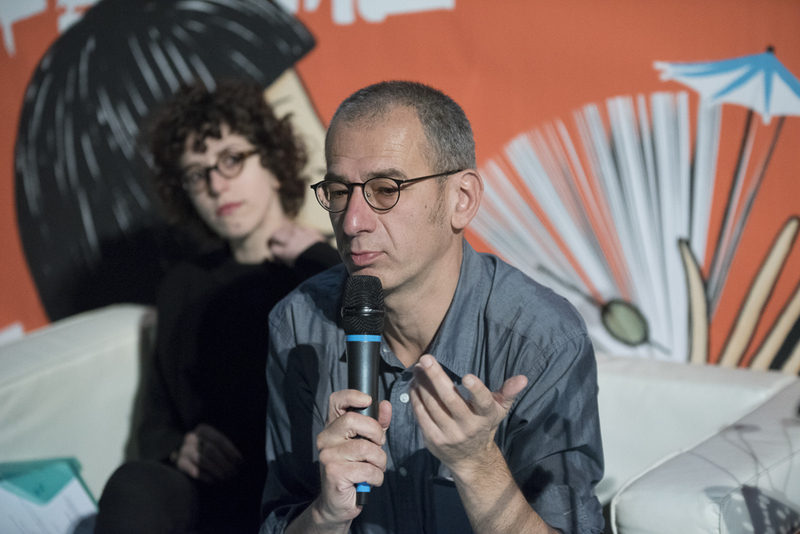 The two Berlin authors discussed their texts and their future works and read in their original language, while Italian translations were provided for the first time for this occasion. The event has once again indicated people’s interest into the multitude of multilingual literature, migration, the wonders of translation, and other topics that have been dear to us since the STADTSPRACHEN festival in 2016. 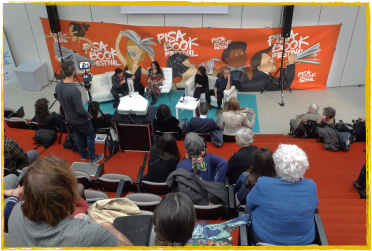 We want to thank the Pisa Book Festival, the participants and the Italian public!